The Gardner home is bustling today—tonight is our first workshop of the year! We’re all busy getting ready. Sara and Shalae (both demonstrators) will be demonstrating a project, Shanna is making some delicious yummies, and I’m the hostess. When I was trying to decide who to invite, I decided to do a workshop for all the women in our ward (Church congregation). That’s quite a large group, so I did a TON of invitations because I didn’t want to leave anyone out, and as a hostess, I know that the more people I invite, the more likely I am to have a large group! Sara created the invitation in My Digital Studio (and showed it on her My Digital Studio blog) a few weeks ago. Of course, me being me, I had to add a little dimension and texture—I really love the difference that makes. I’ve been handing delivering the invitation over the last week—I wouldn’t necessarily encourage that for hostesses; it took a lot of time!) I had fun though—I drove and took Sidney, who actually did the work, jumping in and out of the car. Even though I did put “RSVP” on the invitation, I’m not sure how many people are actually coming; you all know how that goes! I have heard from several ladies though, and I can tell they are excited! Each person who has RSVP’ed has mentioned they are looking forward to a fun night out, stamping and socializing with friends. A few have actually giggled as they’ve chatted with me—I can tell they’re looking forward to it! 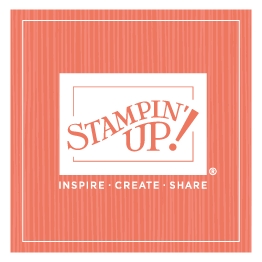 That’s what Stampin’ Up! is all about. Of course, I’ll post a full report tomorrow. In the meantime, wish us luck!